So you've read the Perl programming language articles here on Macinstruct, and you're feeling more comfortable with Perl in general. (If you missed them, see Getting Started with Perl and Using CPAN to Extend Perl.) Now you're wondering how to use this information to do something cool. 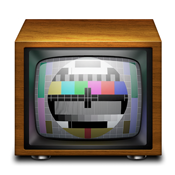 How about building a solution that automatically downloads TV shows to your Mac? When creating documentation, one of my more time-consuming tasks used to be punching up screen shots with labels, arrows, highlights and whatever. With its ability to mix vector (scalable text, lines and shapes) and bitmap graphics, Adobe's Fireworks was my favorite tool, though it bordered on software overkill. Recently, I was in a rush to get something wrapped up and posted on a deadline and was nowhere near a copy of Fireworks. You already know that you can password protect your iPad. But if you have enabled Find My iPad, you can also remotely set a password to lock your iPad. (The iPad must be turned on and connected to a cellular or wireless network.) This can be useful when you've misplaced your iPad and need to prevent others from accessing your private information. So you own an AirPort Extreme and the unthinkable happened: You had to reset the base station to the default settings. All of your network settings have been lost. Now what? If you thought to export your AirPort Extreme configuration before you reset the base station, you can import that configuration file and instantly restore all of your network settings. Setting up an AirPort Extreme is a painstaking process that can take hours or even days. But your work isn't finished when you get the AirPort Extreme working the way you want it. The last step is exporting your AirPort Extreme's configuration file to save all of those configuration settings and back them up. Do you know how much RAM is installed in your Mac? You should. RAM, or random access memory, stores the code and instructions for OS X and any applications open on your Mac. The more RAM you have, the more applications you can have open at once. Knowing how much RAM you have installed in your Mac is an important piece of information that could change how you use your computer. From the Apple menu, select About This Mac. The window shown below appears. Upgrading the RAM is one of the cheapest and most effective ways to boost your computer’s overall performance. RAM, or random access memory, stores the code and instructions for OS X and any applications open on your Mac. Installing larger RAM modules in your MacBook Pro will allow you have more applications open at once and perform more tasks simultaneously. For example, you could open a bunch of memory-hogging applications while ripping a CD, watching a DVD, and uploading photos to the Internet - all at the same time. Upgrading your MacBook's internal hard drive is a simple way to store more documents, music, movies, applications and other files on your new Apple portable. Upgrading the hard drive is a cost-effective way to increase your storage space and speed up your MacBook Pro, especially if you purchase a solid-state drive. Keyboard shortcuts are an integral part of Mac OS X, but you may have noticed that not every menu item has one. This can pose a real problem for those of us who like to work fast and efficiently. To access menu items that don't have shortcuts, you'll have to use the mouse - a big annoyance that'll slow you down! Fortunately, Mac OS X allows you to assign a keyboard shortcut to a menu item that doesn't have one. This tutorial shows you how. You can also use these instructions to modify an existing shortcut. It's a little trick that can make your life that much easier.